I love trying new recipes and using leftover food from the night before. I made a pork roast in the crockpot the other night with some onions and apples and it was delicious! It was so tender and juicy. Giant Eagle had a sale buy one get one free for the roasts so I had to get two! We had a decent amount left over from the crockpot meal so I wanted to use it the next night. 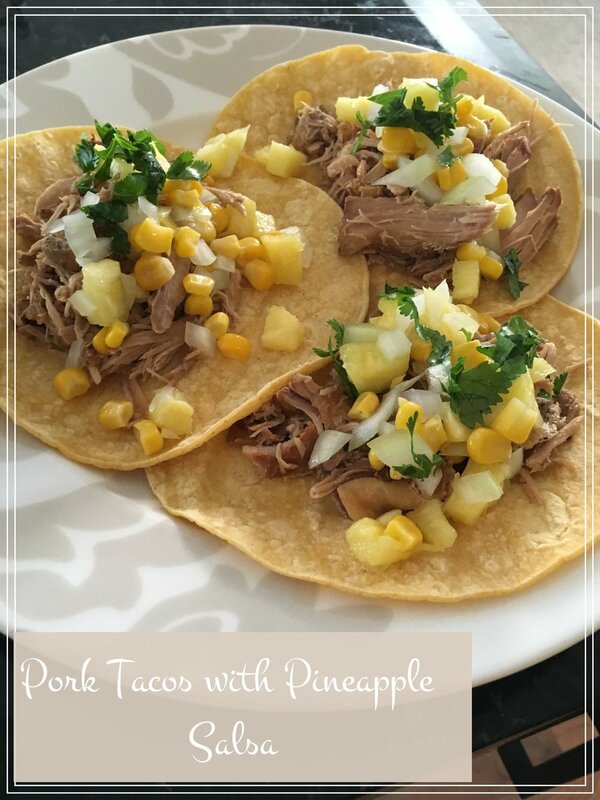 My mom gave me the idea to make pork tacos and they were delicious and so easy! The meat was already done so the hard part was over. I made the pineapple salsa, and added some cilantro to Johns (I don't like cilantro, I think it tastes like soap :p), and squeezed some lime juice on top! So easy and so delicious! These tacos were so good, I will definitely be making them again soon!